News: Turkish International Footballer Tuncay Sanli signed contract with Bursaspor today. Tuncay Sanli was playing for Wolfsburg in Bundesliga. However he could play 4 matches in Wolfsburg last year and Wolfsburg loaned him to Bolton Wanderers. He released by Wolfsburg this season and Bursaspor didn’t pay any transfer fee to Wolfsburg. Russia had a successful qualification round in 2010-2012 and they reached to finals. They couldn’t qualify from group stage in European Championship. They had Ireland, Armenia, Solvakia, Macedonia and Andorra in qualifications. They lost just one match against Slovakia in their home. It was surprising for both sides. Russia had a friendly match with Ivory Coast and the result was 1-1 when the match was over. They played well and they tested young footballers and tactics. 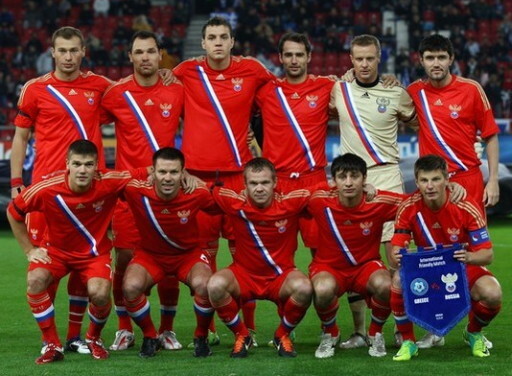 They will start to 2014 World Cup qualifications match with Northern Ireland match in Moscow. I believe it won’t be too hard match for Russia. FC Sochaux transferred Kalilou Traoré from Odense. 24 years old defensive midfielder has also capped for Mali National Football team for 3 times. He started his professional career in Real Bamako in Mali. Bulgaria had very bad performance last qualifications. They just won a match, got two draws and lost in 5 matches. They were at bottom of standings and that was really dissapointing for Bulgarian soccer fans. They scored just 3 goals and conceded 13 goals in 8 matches. However we saw that Bulgaria performance has raised and they started to play better football in friendly matches. I don’t think that it will be enough for them but I think they will be alot better in their home matches. Now they will face with Italy in home for qualify to World Cup 2014 and it won’t be easy game for them.